The Pantry | The Junior League of Houston, Inc. The Pantry at The Junior League of Houston, Inc. offers wonderful bakery items and frozen casseroles prepared in its Tea Room Kitchen to the general public. Also available are care packages, catering orders, special orders* and cookbooks. All prices listed below are subject to change. * All special orders require advance notice of at least 24 hours and are subject to approval by the Tea Room General Manager. Please stop by or call 713.622.5965 to check inventory or to place an order. The Pantry is open the fourth Monday of every month when Junior League general meetings are held (August, September, October, January, February and April) and each Monday in November, prior to Thanksgiving. Gourmet Texas Pecans are now available in The Pantry! 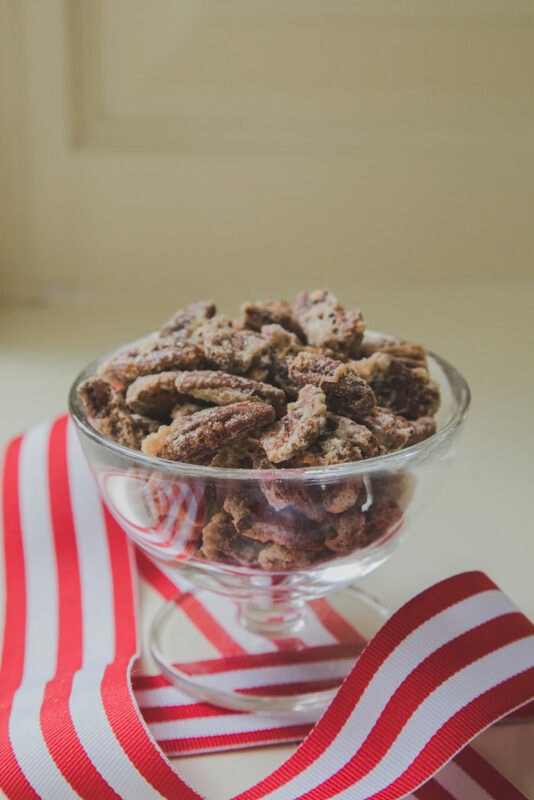 Pick up your sugared or spiced pecans today, in five-ounce or eight-ounce offerings. Perfect for a host gift or a treat for yourself! Are you looking for a great teacher or hostess gift, or an easy gift to have on-hand? Look no further than the Junior League! The Junior League offers gift certificates that can be used to purchase items from The Pantry, including frozen meals, catering packages and cookbooks. Tea Room patron members and League members may also use gift certificates to purchase special event tickets or lunch in the Tea Room. Gift certificates are available in denominations of $10 or $20. For more information or to purchase a gift certificate, please contact The Pantry at 713.622.5965. Click here to see The Pantry’s current menu.